Paul Quarrington (1953-2010) was a multi-talented artist. But he is probably best known as the author of the hockey classic King Leary. Quarrington began writing while playing bass for his band Joe Hall and the Continental Drift. He became known for his comedic stories that featured real characters. Quarrington focused on the subject of sport in many of his stories, including Home Game (1983), about a once-great professional baseball player. 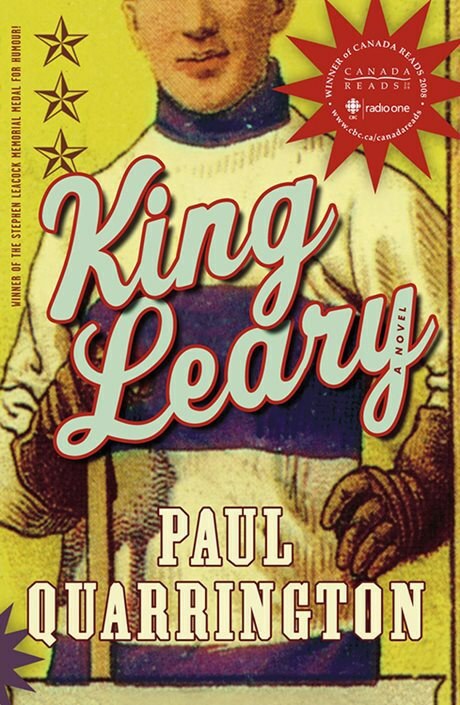 King Leary follows its main character Percival “King” Leary, a former hockey legend, who looks back on his journey from learning to playing hockey to winning the Stanley Cup. Quarrington also wrote the screenplay for the 1991 comedy film, Perfectly Normal, which combines hockey and opera. He was also a producer on the CTV series Power Play, a hockey show that aired from 1988 to 1990. Watch an interview with Quarrington on the CBC Books website as he talks about King Leary and hockey. Read a Maclean’s magazine article on Quarrington, discussing his life and artistic career.